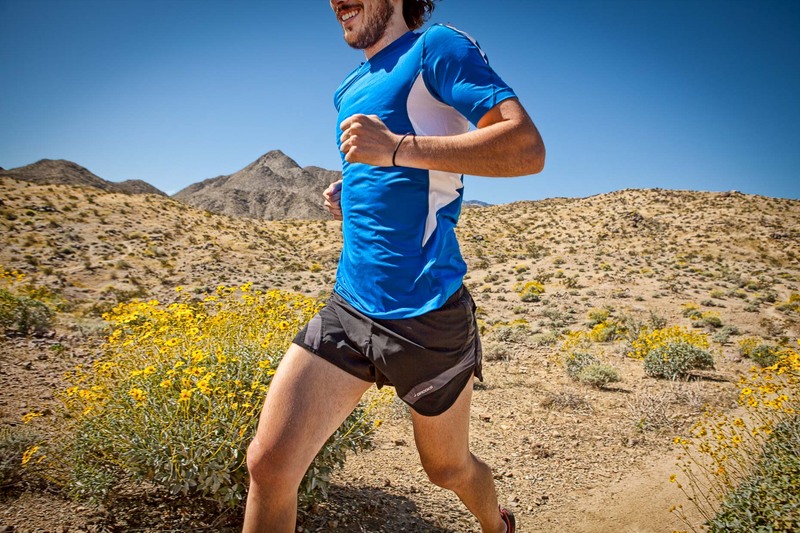 Torso of man running on desert trail in Palm Springs, California. Fitness. David Zaitz Photography.